IT’S HERE again, and don’t we just love it. The Six Nations is about to kick-off and give rugby fans seven weeks of high-class international rugby, where over drinks we can dissect and debate every nuance of the greatest competition in the northern hemisphere. Here are six players, we think will be making a big impact. Manu Tuilagi’s injury-forced absence has left Stuart Lancaster with a sizeable pair of thighs to replace after being ruled out of tomorrow’s game against Scotland. 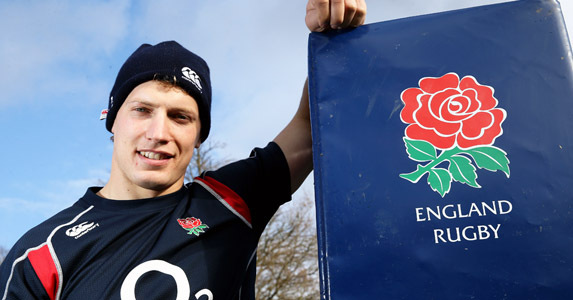 Step forward Gloucester centre Billy Twelvetrees. started to fulfill his potential. In fact, the last centre to leave Leicester and flourish on the international stage was a certain Will Greenwood. No pressure, then, Billy. Wesley Fofana is a perfect example of the abundance of talent available to Philippe Saint-Andre in midfield. The 24-year-old made his debut Six Nations last year and proceeded to score a try in each of his opening four games, equalling a French record set by Maurice Celhay back in 1935. Fofana is nicknamed Le Guepard (The Leopard) because of his ability to slink around the most tightly-packed defences. In a supremely powerful Clermont side, Fofana has shone in the Heineken Cup, notably finishing off a length-of-the-field try against the Exeter Chiefs last month. Already short-listed for European Rugby Player of the Year, he will look to feed off the human cannonball that is Mathieu Basteuraud. A potential world star, even if he is stationed on the wing for Sunday’s game against Italy. Wales are fortunate to have two jumbo-sized wings in George North and Alex Cuthbert, who both possess quick feet and genuine top-end speed, but it’s the inclusion of 20-year-old Osprey winger Eli Walker that has caused a frisson of excitement in the pubs and rugby clubs up and down Wales. Crocked for the first game against Ireland, Walker is a genuine flyer and the youngster from Swansea has been a revelation in this year’s Heineken Cup, evading more defenders than anyone other player in the Pool stages (23 in six games). Walker gives Wales genuine options on the flank, especially if Cuthbert and North are failing to make headway taking the direct route. Harlequins Director of Rugby Conor O’Shea, a fine judge of talent, recently mentioned him as a potential bolter for the Lions. Simon Zebo, 22, has made his international debut out in New Zealand last summer. With only three caps to his name, Zebo is very much part of Ireland’s new generation. Supremely quick – his father Arthur was an Olympic standard 800m runner – he has the ability to play anywhere in the back three. He’s one of few players to have scored two hat-tricks in a Heineken Cup season, the latest in a man-of the-match performance against Racing Metro. 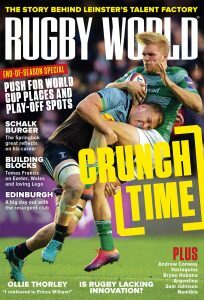 Another short-listed for European Rugby player of the year 2013, Zebo gives Declan Kidney much-needed firepower, especially with Tommy Bowe in the early stages of rehab. Zebo recently renewed his contract with Munster for a further three years. After signing a three-year contract with the Glasgow Warriors, Sean Maitland told Rugby World, he was here “to do some damage”. Obviously not lacking in confidence, only ten-weeks after landing in the UK, he will line-up against England in front of 82,000 at Twickenham tomorrow. Maitland had moved from the Canterbury Crusaders, where he’d been part of a successful squad playing alongside superstars Israel Dagg and Dan Carter. Even though he appeared for the Maori All Blacks in 2010, he tired of waiting for a call from the ABs and decided to throw his hat in with the country of his grandparents’ birth. The last time he appeared at Twickenham, he scored two tries against the Sharks in a Super 15 match back in 2011. One to watch. Okay, an obvious pick, but Parisse has been Italy’s go-to man for nearly a decade. The Argentina-born No 8 has the full-complement of skills; deft handling, the mobility of a back and a never-say-die attitude. He has been seen leading from the front, year on year, despite the Azzurri only winning nine games in 65 Six Nations fixtures. Still only 29 and with 91 caps, the Italian captain could be only the second Italian player to pass 100 caps after Alessandro Troncon. A brute on the pitch, the dashing Parisse married to Miss France 2006.